Delhi Subordinate Services Selection Board (DSSSB) has issued a notification for recruitment to the post of Assistant Engineer and Junior Engineer. Interested candidates can apply to the post through the prescribed format on or before 1 March 2019. 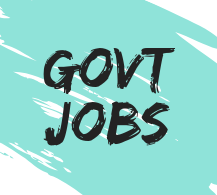 DSSSB AE & JE Vacancy 2019: Delhi Subordinate Services Selection Board has issued a latest notification Advt No-1/2019 for the recruitment of Assistant Engineer (Electrical) & Junior Engineer (Civil, Electrical) Vacancy at 264 Posts. Assistant Engineer ⇢ Degree in Civil/Electrical Engineering from a recognized University or equivalent. Junior Engineer ⇢ Degree in Civil/Electrical Engineering from a recognized University or equivalent OR Diploma in Civil/Electrical Engineering from a recognized University or equivalent. Syllabus for Tier 1 ⇢ General Awareness, General Intelligence and Reasoning Ability, Arithmetical and Numerical Ability, Hindi Language and Comprehension and English Language and Comprehension. Syllabus for Tier 2 ⇢ General Intelligence and reasoning ability, Quantitative Aptitude, General Awareness, English language and Comprehension.